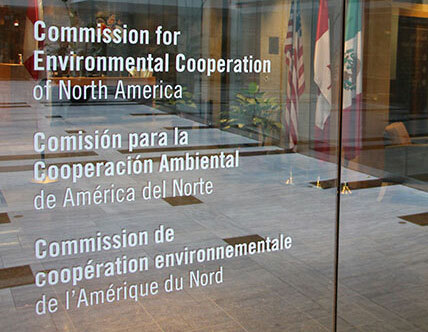 The Commission for Environmental Cooperation (CEC) is an intergovernmental organization that supports the cooperative environmental agenda of Canada, Mexico and the United States to green North America’s economy, address climate change by promoting a low-carbon economy, and protect North America’s environment and the health of its citizens. The CEC is composed of three bodies: a Council, representing the governments of the three member countries; a Joint Public Advisory Committee (JPAC), which advises the Council and serves as a liaison with the public; and a Secretariat, which supports the Council and JPAC and prepares independent reports. The CEC brings together governments, civil society, and businesses, to develop innovative North American solutions to global environmental challenges. Find out more at: <www.cec.org>. for farmers, other landowners, monarch experts and members of the general public interested in monarch conservation. It is hoped that practitioners and policy makers will use the toolbox to identify and replicate proven, successful practices, programs and projects in support of future monarch conservation efforts. This toolbox includes best management practices (BMPs) for the conservation and restoration of monarch butterfly breeding and feeding habitat across North America; conservation incentive programs for private landowners; and pilot projects intended to restore, enhance and manage monarch breeding and flyway habitat in Canada, Mexico and the United States. Best management practices include those specific to monarchs, such as milkweed propagation or protection of breeding habitat, as well as practices with great potential to protect, enhance, or restore monarch habitat, but which are outlined for a broader purpose, such as pollinator-habitat or tallgrass-prairie restoration. Incentive programs include incentives available to individual private agricultural or other landowners, in the form of tax relief, direct financial payments, and technical assistance. Pilot projects and actions for monarch conservation include projects that relate specifically to monarchs, like milkweed habitat restoration, monarch education webinars, or monarch and milkweed monitoring research, as well as projects that are larger in scope but indirectly affect monarch habitat, such as native-seed assessment, and development of pollinator conservation guidelines for land managers. The information provided in this toolbox was compiled through the Commission for Environmental Cooperation’s (CEC’s) Engaging Farmers and Other Landowners to Support Monarch Butterfly and Pollinator Conservation project and was compiled in 2016 from nearly 250 relevant resources.